As the youngest member of Ehpro Bachelor series, Bachelor X is a single coil build RTA, which comes with 3.5ml capacity and 22mm diameter. 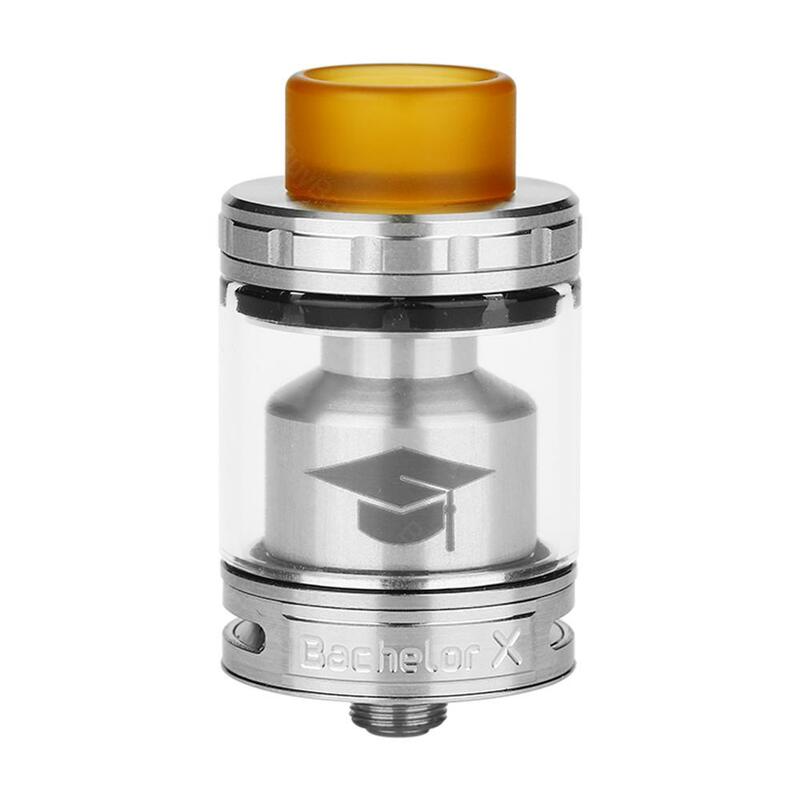 As the youngest member of Ehpro Bachelor series, Bachelor X is a single coil build RTA, which comes with 3.5ml capacity and 22mm diameter. What can make you amazed is that it comes with an additional bulb glass tube, which extends capacity to 5ml. Adjustable bottom & top airflow, easy refilling design, as well as high heat resistance PEI 810 wide-bore drip tip will bring you perfect vaping experience. • The Bachelor X RTA doesn't come with e-juice which you need to buy separately.